Some great stuff from an guy who REALLY knows how to tell a story. How stories keep the wolf from the door and why math has no place in storytelling. What makes a great story? Kurt Vonnegut had 8 rules, Jack Kerouac had 30 beliefs and techniques, evolutionary biology has some theories, and famous writers have some tips. 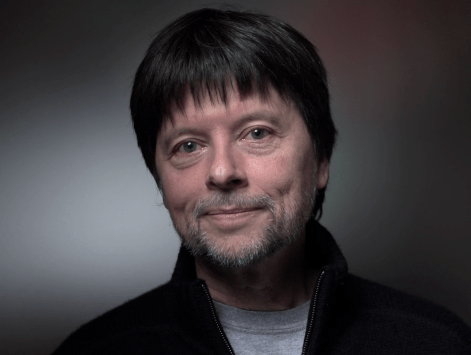 In this short film by Sarah Klein and Tom Mason, PBS’s Ken Burns, who for the past quarter-century has been relaying history’s most fascinating stories in his unparalleled films and has even earned himself some loving parody, shares his formula for spellbinding storytelling: 1 + 1 = 3, or a story where the whole is greater than the sum of its parts. Beneath it all is his beautiful blend of personal truth and astute insight into the universal onuses of being human. I don’t know why I tell stories about history… There’s a kind of classic dime-store Ken Burns wolf-at-the-door things… My mother had cancer all of my life, she died when I was 11, there wasn’t a moment from when I wasn’t aware — two-and-a-half, three — that there was something dreadfully wrong in my life. It might be that what I’m engaged in in a historical pursuit is a thin layer, perhaps thickly disguised, waking of the dead, that I try to make Abraham Lincoln and Jackie Robinson and Louis Armstrong come alive, and it may be very obvious and very close to home who I’m actually trying to wake up. We have to keep the wolf from the door… We tell stories to continue ourselves. We all think an exception is going to be made in our case, and we’re going to live forever. And being a human is actually arriving at the understanding that that’s not going to be. Story is there to just remind us that it’s just okay.